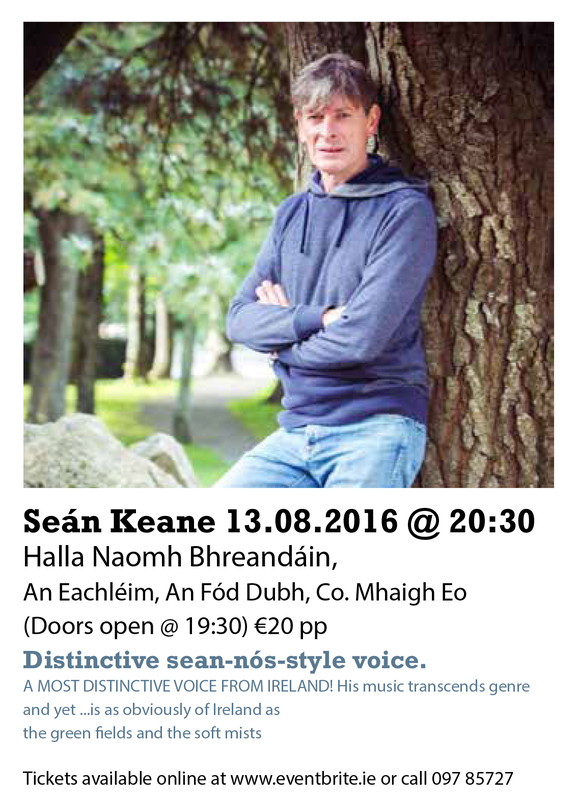 Seán Keane in Concert Live – Saturday 13th of August. Seán Keane in Concert Live in Halla Naomh Bhreandáin Eachléim on Saturday the 13th of August. Doors open at 7:30pm for an 8:30pm start. Tickets available online on Eventbrite.ie, on the door or In Teach John Joes, Ionad Deirbhile Heritage Centre, Healys Shop Binghamstown, Belmullet Tourist Office and an Sean Siopa Eachléim. This entry was posted in Eachléim Notes, Events, Music, News by Bainisteoir CFID. Bookmark the permalink.